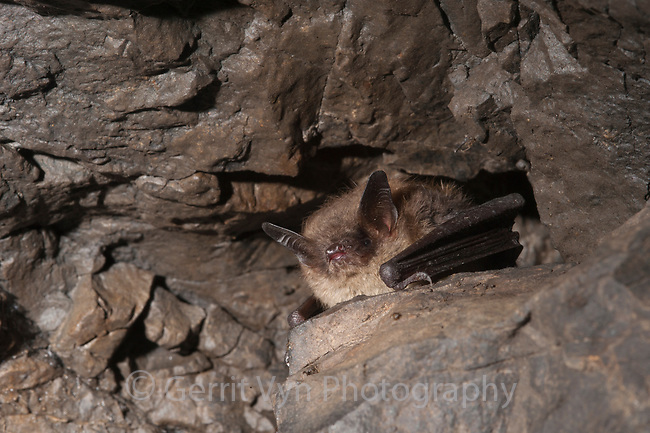 A healthy adult Little Brown Myotis (Myotis lucifugus) peers from a crevice in a hibernaculum infected with white-nose syndrome. This poorly understood and devastating malady may be the gravest threat to bats ever seen. Ulster County, New York. January.